That’s right. The #JanuaryWhole30 is missing from our social feed this year. No chatter about upcoming groups or webinars, no stories showing our weekly Whole30 meal prep, no countdown to the day that we purge the pantry and dive headfirst into Day 1. We are, however, still sharing LOADS of Whole30-related content and recipes to help you on your journey! Nope. You didn’t miss a thing. We’re just NOT doing a January Whole30 with the masses this year like we’ve done in the past. In case you’re wondering why, it’s NOT because we’ve fallen out of love with the Whole30. In fact, it’s just the opposite! The Whole30 isn’t a diet – While the Whole30 was originally designed to be a nutrition reset it was never meant to be a diet or a quick fix. While we wholeheartedly encourage you to embrace many, if not most of, the tenets of Whole30 in your everyday life (and thus make it a lifestyle rather than a ‘diet’) it wasn’t meant to be something you start on Monday because you feel like you’ve been ‘bad’. In other words, the true intent of the Whole30 is that once you have a couple under your belt that you’ll be able to identify and stop counterproductive food-related behaviors BEFORE they start (or before they get out of hand, leaving in you in need of a full 30-day reset). 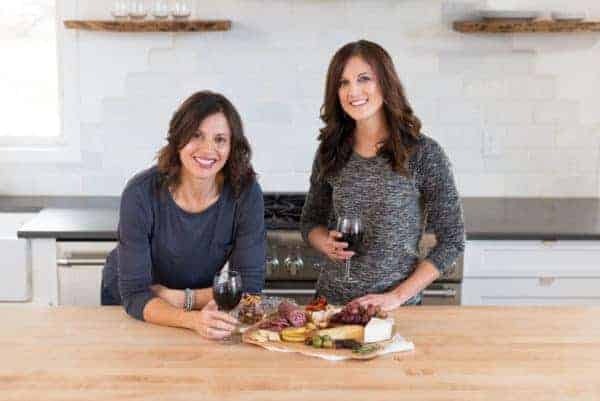 The Whole30 isn’t easy but it’s worth it – If the Whole30 were easy we wouldn’t have dedicated so much of our time here at The Real Food Dietitians to creating delicious, easy-to-prepare recipes, meal plans and guides for your viewing pleasure. The Whole30 isn’t easy but it is worth it to find out which foods you may be sensitive to and which behaviors need changing in order for you to lead a life of optimal health. The Whole30 isn’t for everyone – Though everyone could, in theory, pick up a copy of The Whole30 and dive right in, there are some people who may not be good candidates such as those with a history of (or currently active) disordered or restrictive eating behaviors. The Whole30 can open your eyes to patterns and behaviors that are keeping you from feeling your best – This is where the rubber truly meets the road when it comes to the Whole30. When you are truly honest with yourself about the discoveries you’ve made about your food choices and the behaviors that affect your food choices (sleep, stress level, cravings, emotional eating, not making time to plan meals, etc. ), that’s the moment you find yourself on your way to land of food freedom. Admitting and owning those behaviors and choices then choosing to find a way to do things differently (until it’s really worth it) is the essence of food freedom. During the recent holiday season we had the chance to put our food freedom to the test. With every turn where was another holiday party with ample offerings of delicious food and drink, Stacie made (and enjoyed, guilt-free) kringla with her sweet grandma, Jess made grain-free/egg-free cut out cookies with her daughters and enjoyed them with her morning coffee several days in a row (also guilt-free). It seemed that everywhere there was a chance to enjoy a bit of this or a bit of that. 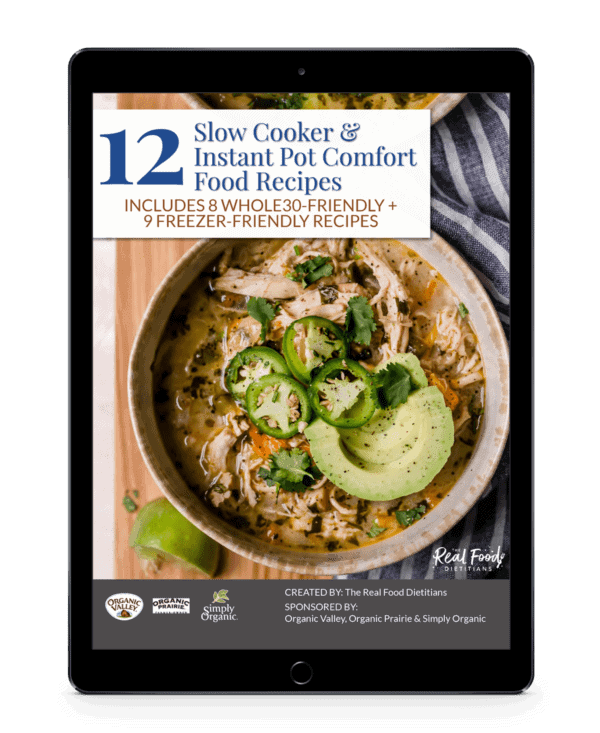 Now, keep in mind, it wasn’t a full-on 30-day treat binge though because in between the worthy splurges were plenty of healthy, delicious Whole30-friendly meals (like Slow Cooker Turkey Chipotle Chili, One-pan Balsamic Chicken and Veggie Bake, Instant Pot Sweet Potato Chicken Curry and Slow Cooker White Chicken Chili). And you know what? It was the first time in a few years that when New Years rolled around neither of us felt like we needed a full Whole30 reset. Another case in point, on our recent trip to San Francisco to visit the Earthbound Farms Farmstand and Market we enjoyed big hunks of crusty sourdough bread with a salad. Without a shred of guilt (keep in mind, neither of us have celiac disease). Was it worth it? Yes, every. single. bite. Did we go hog-wild and eat several loaves? No, just a big hunk but it was all we needed to fulfill that desire for the ‘real deal’. And let us tell you, it was a glorious thing. If you’re new to the Whole30 then start here, with your first Whole30. Even if you didn’t start on January 1st you can still start now. In fact, you can start any of the 365 days of the year. The most important thing is that you just start. The Whole30 is a great way to help you uncover which foods and food-related behaviors are no longer serving you. Keep in mind that it’s just for 30 days. After the initial 30 days without gluten, grains, dairy, soy, legumes, sugar and alcohol you can start adding those things back into your diet one at a time (aka the reintroduction period). 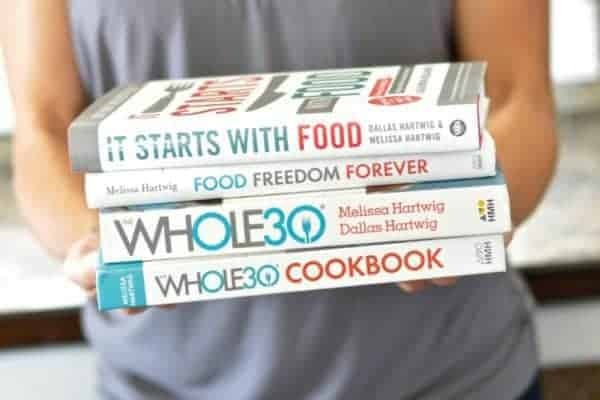 Start by picking up a copy of The Whole 30: The 30-day Guide to Total Health and Food Freedom for a complete rundown of all the program ‘rules’, a one-week meal plan and grocery list, recipes and more. This is essentially your Whole30 Bible. 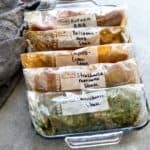 Or if you just want to jump in right now or save your dollars for more vegetables and better quality meat and fish, then head over to Whole30.com where you can find everything you need to get started. That’s right, you can do a Whole30 without buying a book or a program or even a coach – everything you need to get started is right there on their site. 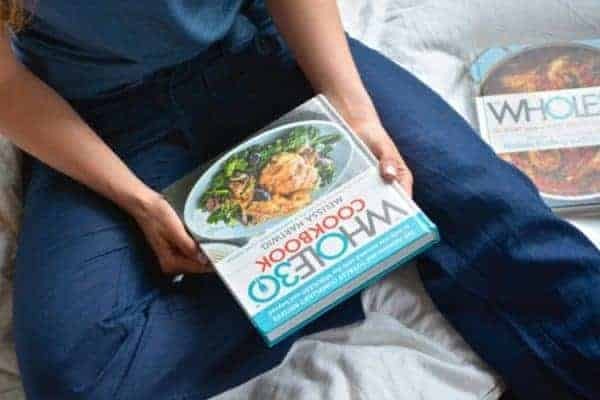 Now, if you want to get more in-depth, understand the why’s of the program, have some of your meals planned for you then we suggest you grab a copy of The Whole30 and/or It Starts with Food, too. 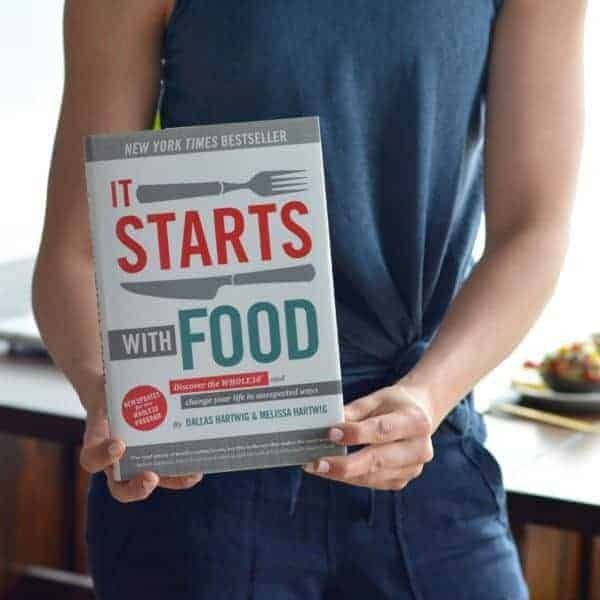 In It Starts with Food you’ll find the scientific why for each rule along with a hefty dose of anecdotal evidence that proves the program works when you give it 100%. Maybe you’re not new to Whole30 but rather a Whole30 veteran like we are. Yet you find yourself doing a Whole30 more than twice a year. No judgment. We’ve been there, too. Want to learn more strategies for shifting your mindset and embracing your food freedom? Grab a copy of Food Freedom Forever by Melissa Hartwig and dive right in. The Whole30 is designed to change that. Gradually. It’s not a quick fix and you’re not a failure if you need to do a handful of Whole30’s in order to start to uncover what your own food freedom looks like. We know we did. We both have several Whole30’s under our belt which brings us back to why we didn’t do one this month. We just didn’t feel like we needed it. Exercising our food freedom muscles between Thanksgiving and New Years was enough proof that we didn’t need to do a January Whole30 this year. Having learned which foods don’t serve us well and minimizing our intake of them (unless it was REALLY worth it) meant it wasn’t hard to get off the cookies-for-breakfast train or get back into a routine of regular meals that are heavily based on plants with moderate amounts of nutrient dense proteins and fats. Also, just knowing that we CAN have foods we really love whenever we want them (and when we feel it’s worth it) goes a long way toward mitigating feelings of deprivation. Now, does that mean we won’t need a teeny-tiny reset in January? Maybe. Or, maybe not. Short resets of 2 weeks, or less, in duration are a powerful tool when it comes to food freedom. They’re great for getting you out of a rut or helping you pinpoint if a suspected food that you’ve successfully reintroduced is maybe wrecking havoc on your digestion again. 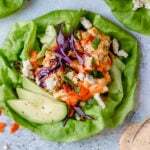 They’re also great for helping you break little habits that have snuck back into your everyday life – like mindless snacking, not focusing on vegetables with every meal or relying too heavily on convenience foods or takeout. So perhaps we may find that a short reset is in order if by returning to our normal 85-90% Whole30 lifestyles and putting a serious focus on filling our plates with loads of vegetables and some fruit isn’t enough to leave us feeling good, sleeping well and recovering quickly. Maybe. Or, maybe not. We’ve put in the time, we’ve listened to our bodies and we’ve even had to weather some tough break-ups with food we love (which again, we sometimes find ourselves hooking up with them from time to time when they’re REALLY worth it) in the interest of achieving our own unique definitions of optimal health. But finally arriving at a place of freedom with regards to food has been nothing short of life changing for us and it’s what you deserve, too. So, before we wrap this us, we just want to say that you’re worth the work it takes to complete the Whole30 and to begin to navigate the path toward to your own food freedom. 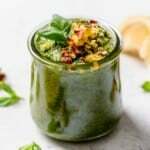 We’ve got loads of resources here to help you – from our FREE meal prep menus to the hundreds of Whole30-friendly recipes and recipe round ups (like this Instant Pot round up and this slow cooker round up), guides to our favorite pantry staples, our thoughts on Whole30 from a real food dietitian’s perspective and more. 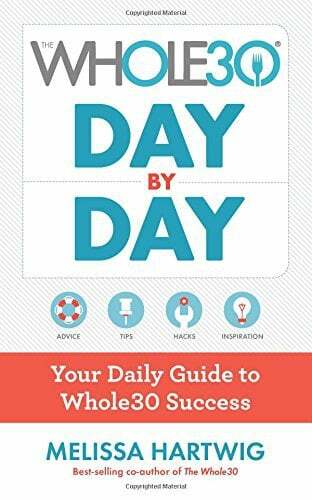 And don’t forget about the The Whole 30 Day by Day: Your Guide to Whole30 Success – perfect for those who want a little day by day coaching from Melissa herself including motivation, day-by-day timeline, community inspiration, habit hacks and more. Even though we aren’t doing a Whole30 this January, we’re still cheering you on and creating resources to help you succeed. You got this! I love everything about this. In November and December, my mind kind of went into auto pilot thinking that I would be doing the January Whole30. But on December 31st, I changed my mind. I called a last minute audible and thought, “wait….why am I doing this?” I felt really great about myself and my food freedom and realized that I just didn’t need a January Whole30 this year. It just didn’t make any sense for me, personally. I am fully supportive of everyone doing it right now, but equally as proud of those of us who are in such a good place that we feel it isn’t necessary. Thank you, Julie, for sharing your experience with food freedom. Like you, Stacie and I just assumed we’d be doing one and then one day – we decided we didn’t need to this time. It’s such a great place to be and we want to be able to help others find that sweet spot too. Love that mission! You ladies provide such awesome content. It is SO appreciated. Thank you, Julie! We’re so grateful that we get to do what we love and help others. We are aware of the issue with color of the text on the site. We do have some fixes for that issue in the works that we’ll be rolling out very soon. We apologize for the inconvenience. I think bananas are sabotaging my Jan Whole 30. Carbs. Oh, bananas! Literally. Any food, even if it is Whole30-compliant, can become a food with no brakes when used to prop up a craving for something sweet/salty/crunchy, etc. If bananas are that food for you then we recommend switching to something less sweet like berries and always include fruit as part of your meals rather than use it as a snack or ‘dessert’ (for example, slice apples or pears on a salad or toss a handful of berries onto your breakfast plate alongside your morning eggs and veggies). Hope that helps! I did my first round in November with my daughter… I had never even heard of whole30 before! The amazing IG community made it so much easier than slogging thru on my own. We even made it through thanksgiving with only a little issue with rolls ????. It is hands down the best system for not only a reset but for reprogramming what my body wants. I am an avid Snickers devotee and have not had the desire for One for 3 months now. I don’t anticipate ever eating the way I did before. I will be adding some foods back in but this has changed everything … from how I shop to how I prep to what interests me. I am so thankful for the jumpstart and for you in the community that keep healthy and Whole in front of us…. it’s made a huge impact on me personally. Food Freedom is a great term… I feel like I’ve turned a corner. 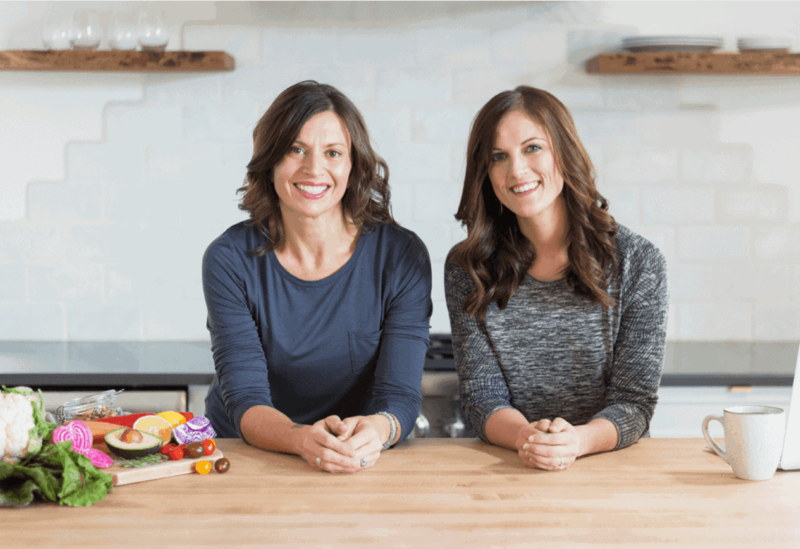 I just love everything you have to say here – it’s so great to hear others’ stories about how Whole30 opened their eyes to better health and a more balanced and appreciative approach to food. Great article! I did my first round of Whole30 in Jan. 2016 and after the re-intro, I continued shorter periods throughout the year. I feel like a different person, actually, I am. Around July I began consistently exercising, first swimming, then treadmill, then I joined a Zumba class (who am I?). The NSV list is long and the weight loss (80lbs and counting) has changed my life. While I began another round this month, I have pinpointed some areas around holidays & travel where I can improve. 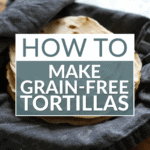 Are the recipes for some of the items you enjoyed such as the grain-free, egg-free cookies on your site? WOW! I love your story – thanks so much for sharing and congrats for making such a huge life change! The cookies I made were from this recipe by Paleo Running Momma: https://www.paleorunningmomma.com/paleo-sugar-cookies-grain-free/ where I substituted 1 Tbsp. golden flax meal + 3 Tbsp. water for the egg. I am curious how many people are allergic to eggs and how does this fit into the whole elimination diet concept. Can you point me to any literature on how to detect egg allergy or how you can work it into the Whole 30 program? So many of the menus include eggs. The incidence of true egg allergy in children is about 1.5-3% of children in the general population (many outgrow it by then end of childhood). As for incidences in adults, there isn’t a lot of data out there. Keep in mind, this is for a true egg allergy – one that’s IgE-mediated and can lead to severe symptoms (like anaphylaxis). Beyond that, there does appear to be an increase in egg sensitivities which are not the same type of allergy. Symptoms of an egg allergy can range from GI upset to skin rash to difficulty breathing or swallowing. A Google search can give you more detailed information on the wide spectrum of symptoms that may indicate an egg allergy is present. 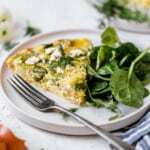 If you suspect you have an allergy to eggs, it’s best to discontinue eating eggs and ask your doctor for an allergy test to give you a definitive answer (he/she may start with a skin prick test or blood work depending on your symptoms). As for Whole30 and eggs, you’re right in that most Whole30 menus contain eggs. 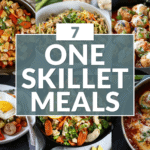 They’re inexpensive, versatile, healthy and delicious. However, if you can’t eat eggs you can still do a Whole30. I am deathly allergic to eggs and have successfully completed multiple rounds of Whole30. Check out these Whole30 Egg-free breakfast ideas here to get started. Thanks for the reply and the ideas for egg free breakfasts. Great article reminding us of the true spirit of the Whole 30–thank you! I’m just reading this now, but I love what you said in the post! I’m on day 21 of my 2nd whole 30 and it’s going great! I’m hoping to find my food freedom after because on my last whole 30 I slowly went back to my bad eating habits (mainly way too much sugar and snacking). My family has questioned why I’m doing it again especially since I didn’t find out much with reintroductions last time, but I want to have food freedom and only eat something if it’s absolutely worth it to me. A lot of times I eat sugary treats just because other people are eating those things. It’s hard to eat healthy when everyone around you is eating whatever they want. I’m hoping to use what I learn from my whole 30 to make good choices in the future! Good on you for undertaking another Whole30 with a holistic approach. My suggestion would be to continue to observe cravings you have and what the triggers may be. Keeping a journal is a great way to do this. You don’t have to write down how much of a food you ate, just jot down what you ate, when and why (why being ‘hunger’, ‘boredom’, etc.) I’ve found that even on a Whole30 where you’re not eating sugar you can still identify these behaviors as they relate to other foods. For example, my husband discovered in his 2nd Whole30 that drinking several cups of coffee (with compliant creamer or ghee and cinnamon blended in) was actually a replacement for sugary or refined grain foods he would have chosen before Whole30. For myself, I find that I reach for another (meaning beyond my usual 2 cups) of coffee with creamer when I’m stressed or anxious. Essentially, it’s more about uncovering the behavior and the trigger and figuring out ways to change the environment – or when you can’t change the environment, changing your mindset instead. Hope that helps – good luck! Hi there. I’ve read a couple times on your site about not recommending Whole30 for those with disordered eating. What do you typically recommend in those cases – a variety of whole foods instead? Great question – as a broad brush stroke recommendation we recommend that those with a history of disordered eating follow the least restrictive, whole food-based eating plan as possible. 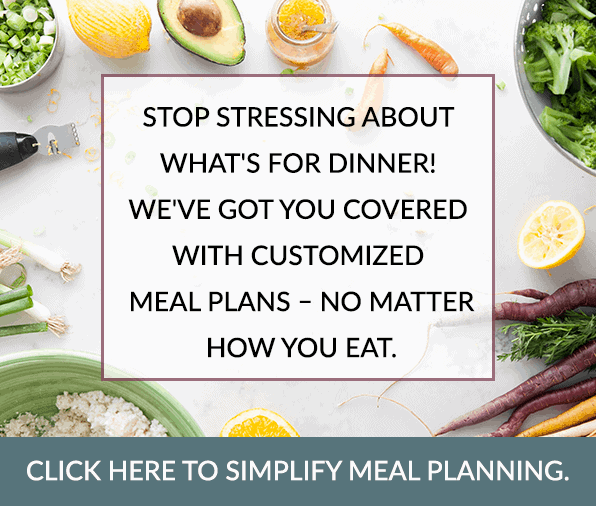 It’s often helpful to work with a professional (or team of professionals) who can provide individualized recommendations and support to ensure you’re consuming a balanced and nourishing diet that doesn’t trigger past behaviors. Thanks to your website and amazing recipes, I am on Day 20 of my 1st Whole 30 . Your recipes are so delicious, filling, flavorful and fast that I intend to stay on Whole 30 for good. I feel better than I have in a long time. I wish you’d publish a cookbook. Your recipes are so cravable, I have 5 people following your website and cooking your food since January. I’ve bought many Whole 30 cookbooks to prepare but none if the recipes hold a candle to your recipes. Thank you so much. Hi Robin! Thank you so much for your kind and encouraging words! It is a goal of our to publish a cookbook someday!